9 Apr 2018 – In recent months, international media coverage of Myanmar has focused on the plight of the Rohingya people in the west of the country. And for good reason: Since August 2017, brutal army attacks on this Muslim ethnic minority have sent more than 750,000 people — 90 percent of the Rohingya population living in Rakhine state — fleeing over the border to Bangladesh, in what can only be described as a coordinated campaign of genocide. 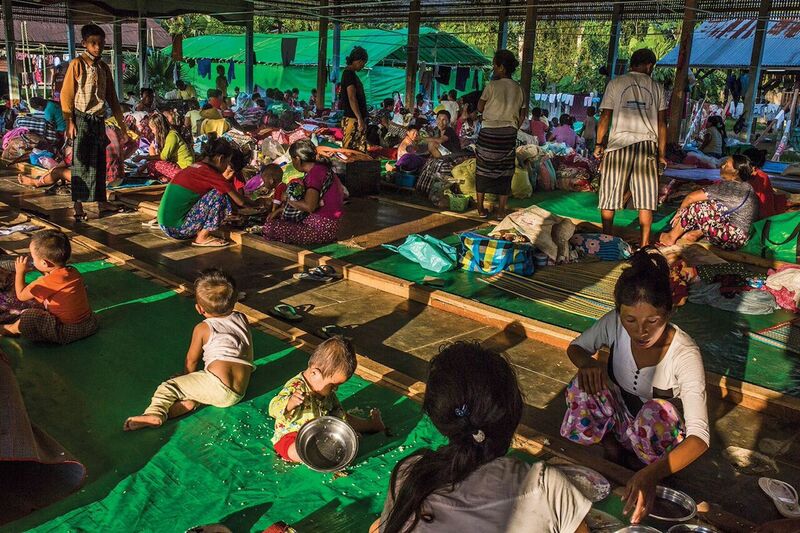 When that time comes, Myanmar’s remaining minorities are likely to experience similartreatment. Many of these groups have been in the military’s crosshairs for more than half a century. Yet the persecution to come will far exceed anything they’ve suffered before. The campaign against the Rohingya has radically expanded the military’s capacity for ethnic cleansing and, perhaps more importantly, seems to have emboldened it, as the bulkof the population appears to support the army’s aggression toward the group. Perhaps the most lamentable aspect of the current violence in Myanmar is that it is occurring during the country’s process of democratic transition. When the country elected a civilian government led by Aung San Suu Kyi in 2015, Western diplomats hoped she would curb the army’s excesses. Yet the opposite has happened: The violence has only accelerated. The problem, it turns out, is that decades of government propaganda have inculcated deep prejudices among Myanmar’s voting public against non-Buddhists and non-Bamar people. Radical Buddhist monks, and others who champion the so-called purity of the Buddhist state, dominate social media. Buddhist civil society groups advocating for Rohingya rights or the rights of Christian minorities are virtually nonexistent. The problem, it turns out, is that decades of government propaganda have inculcated deep prejudices among Myanmar’s voting public against non-Buddhists and non-Bamar people. It should thus come as little surprise that the military has not been the only persecutor of the Rohingya. Their Buddhist neighbors have often taken the initiative themselves. Since 2012, civilians have committed a large share of the village burnings and violent acts. The ongoing Rohingya genocide is the result of a confluence of factors: a hostile civilian public, the tragic complicity of Aung San Suu Kyi’s civilian government, and a lack of meaningful censure from outside parties and the international community. With all of these elements already in place, there is nothing to spare Myanmar’s other ethnic minorities from meeting a similar fate. Azeem Ibrahim is a senior fellow at the Center for Global Policy in Washington and the author of The Rohingyas: Inside Myanmar’s Hidden Genocide.